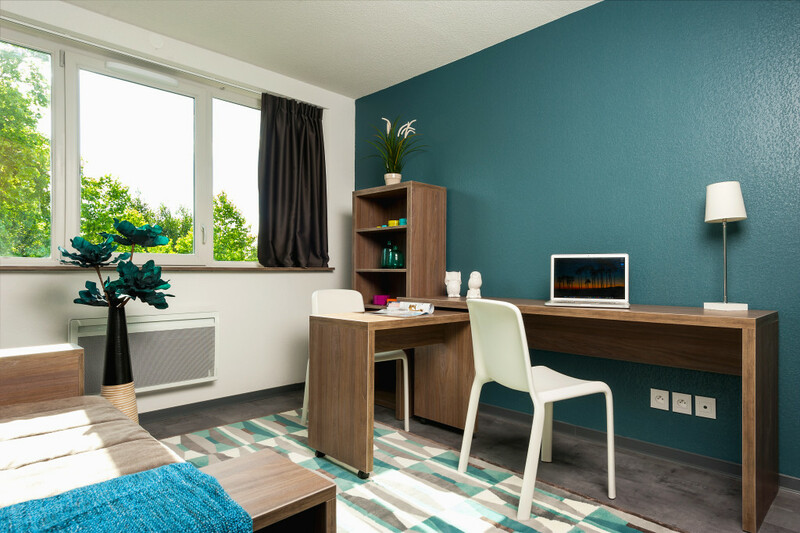 You are looking for a secured residence to rent a student apartment in Bordeaux for your child who wishes to study in Bordeaux? Study’O Bordeaux Garonne offers in the heart of its residence, ideally located near schools, universities and public transport, 120 apartments all tastefully furnished and decorated. With Study’O, renting your student apartment in Bordeaux is easy! We offer you a wide choice from 23 m² studios to 26 m² one bedroom apartments. A financial housing aid is possible, check with your CAF office. You won’t need to worry about opening a water meter or an internet account, Study’O takes care of everything for you! A team is dedicated to each residence, so once settled in your student apartment rental in Bordeaux, they’ll help you to start your new student life, in the best possible conditions.